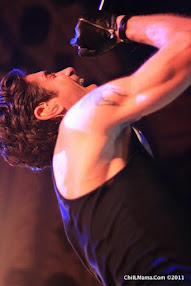 Here at ChiIL Live Shows, we love it when our favorites play well together. We're admirers of the work of Shade Murray of A Red Orchid Theatre and adore Hell in a Handbag Productions' high camp classics, so we're eager to catch The Artificial Jungle. I'll be out to review their latest at the press opening September 23rd. So check back like we vote in Chi, IL... early and often. 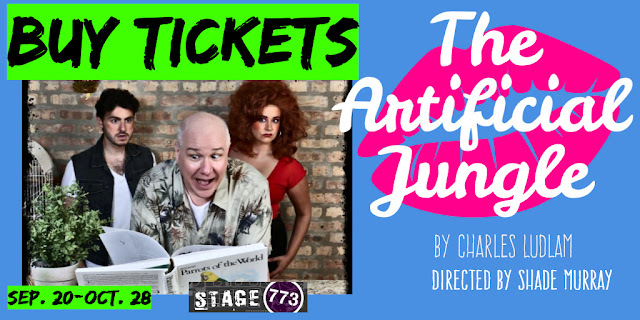 THE ARTIFICIAL JUNGLE will play September 20 – October 28, 2018 at Stage 773’s Black Box Theater (1225 W. Belmont Ave., Chicago), where Handbag staged its recent revival of L’Imitation of Life and 2017’s hit musical Bewildered. 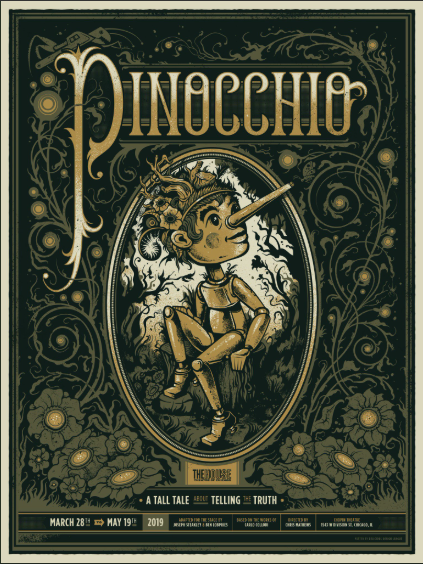 Tickets are currently available at www.stage773.com or by calling (773) 327-5252. 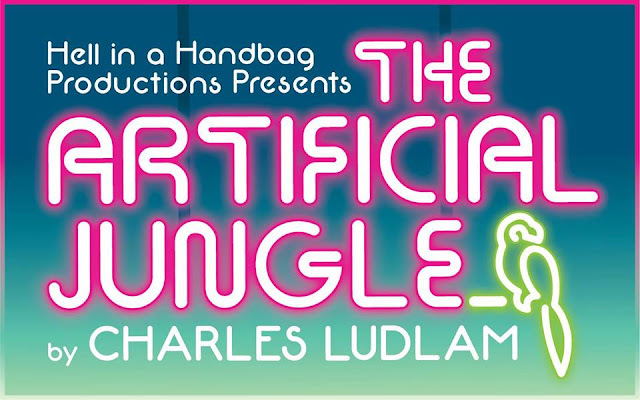 THE ARTIFICIAL JUNGLE features an all-ensemble cast including Chazie Bly*, David Cerda*, Sydney Genco*, Ed Jones* and David Lipschutz*. Things at The Artificial Jungle, the dilapidated pet store owned by mild-mannered Chester Nurdiger (Ed Jones*), are pretty routine. The devoted Mother Nurdiger (David Cerda*) does her best to give her son everything he needs, but there are some things a mother just can’t provide. Chester’s wife, the sultry and stifled Roxanne Nurdiger (Sydney Genco*), is as restless as one of the hamsters in a cage, and when Zachary Slade, a mysterious drifter (David Lipschutz*) enters the picture, passions run wild. Roxanne and Zachary have the perfect plan to get rid of Chester and live the life Roxanne craves. 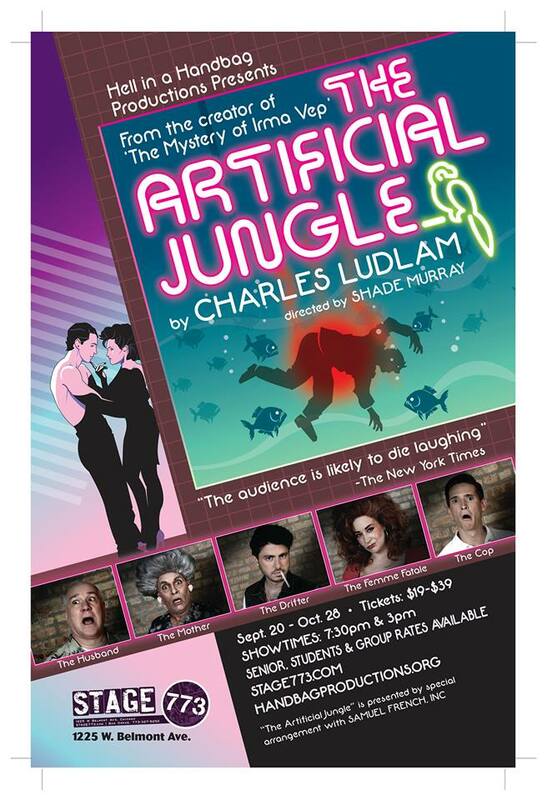 Combining elements of Thérése Raquin, Double Indemnity and even Little Shop of Horrors – THE ARTIFICIAL JUNGLE is a masterful mélange of styles that leave no doubt as to why Mr. Ludlam is considered one of the creators of the Theatre of the Ridiculous. 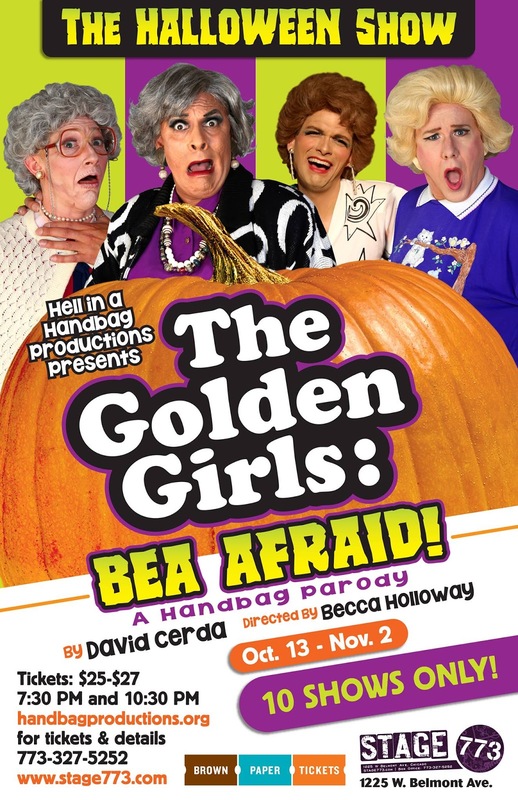 It’s also the perfect fit for Hell in a Handbag Productions – Chicago’s leading theater dedicated to ridiculousness, camp and parody. The production team for THE ARTIFICIAL JUNGLE includes: Samantha Gribben (scenic design), Kate Setzer Kamphausen (costume design), Rachel Lake (lighting design), Brando Triantafillou (sound design and original music), Keith Ryan* (wig design), Adrian Hadlock* (props design), Mark Blashford (puppet design), Lana Whittington (violence coordinator), A.Kay Wyatt (production manager) and Alexandra Hazen (stage manager). Curtain Times: Thursday, Fridays and Saturdays at 7:30 pm; Sundays at 3 pm. Please note: there will be an added performance on Monday, October 15 at 7:30 pm. Tickets: Previews $19. Regular run $32 in advance, $39 at the door. Group rates $29 for 10 or more. $25 senior and student rates. 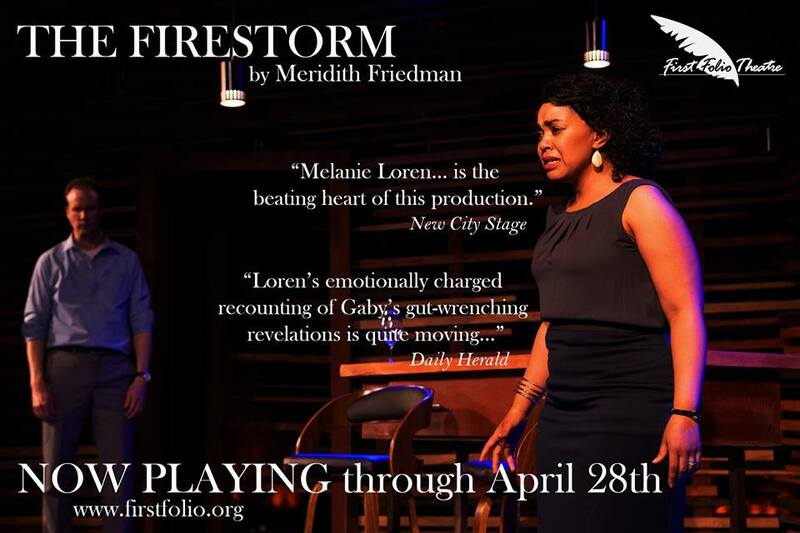 Tickets are currently available at www.stage773.com or by calling (773) 327-5252. Charles Ludlam (Playwright, 1943-1987) grew up in Queens, New York, just a few subway stops from Greenwich Village and the heart of Gay America. At 24, he founded the Ridiculous Theatrical Company, where he wrote, directed and performed in almost every production for the next two decades, often with Everett Quinton, his life partner and muse, by his side. Renowned for drag, high comedy, melodrama, satire, precise literary references, gender politics, sexual frolic and a multitude of acting styles, the Ridiculous Theater guaranteed a kind of biting humor that could both sting and tickle. Ludlam’s many plays included Turds in Hell, Der Ring Gott Farblonjet, a riff on Wagner's Ring Cycle, Bluebeard and The Mystery of Irma Vep, his most popular play, and a performer's tour-de-force. Ludlam continued working until almost the day he died of PCP pneumonia, just three months after his AIDS diagnosis. He was 44. Shade Murray (Director) is happy to return to Hell In A Handbag after directing The Golden Girls: The Lost Episodes and The Divine Sister. He is an ensemble member and Associate Artistic Director of A Red Orchid Theatre, where he has directed the world premieres of Brett Neveu’s Pilgrim’s Progress and Ike Holter’s Sender, as well as productions of David Adjmi’s 3C, Grant Varjas’s Accidentally Like a Martyr, Marisa Wegrzyn’s Mud Blue Sky and The Butcher of Baraboo, Annie Baker’s The Aliens, Nick Jones’ Trevor, Mike Leigh’s Abigail’s Party and Kimberly Akimbo by David Lindsay-Abaire. He also performed in the A Red Orchid production of The Mutilated. Other directing credits include Steppenwolf Theatre Company, The House Theater, Steep Theater, Second City, Writers’ Theater and elsewhere. Shade is a lecturer at University of Chicago and teaches at DePaul University and Acting Studio Chicago.